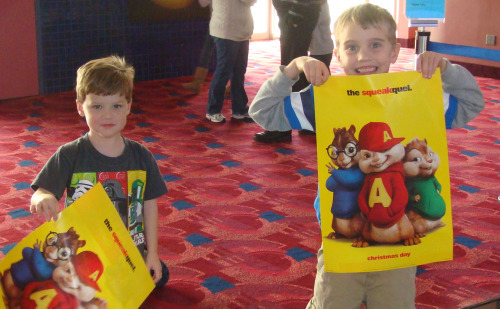 Opening day of the new Chipmunk movie, Squeakquel found Shauna and I herding six kids into the theater for the 1:35 showing. Yes, I said 6 kids. 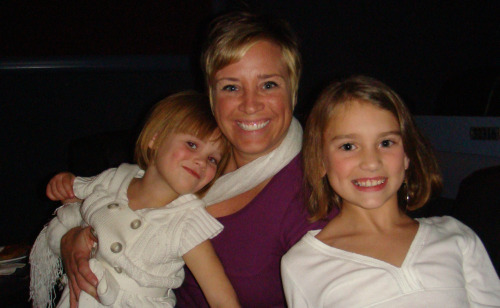 Between us we have four boys and two girls between the ages of 4 and 9. Yes, we are brave, brave mommies with the intense desire to get the kids out of the house for a few hours. 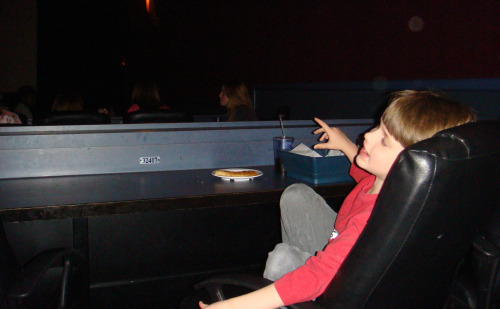 We decided that the easiest place to manage our crowd was at Studio Movie Grill where there is room for kids to move around…and there is food. 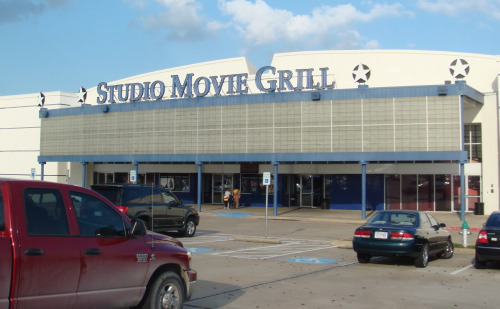 The Lewisville location of Studio Movie Grill is closest to us, but we did not count on the holiday traffic around Vista Ridge Mall. Oh, and we didn’t count on the fact that Shauna was about out of gas. We had pre-purchased our tickets online, but still had to get in the purchase line. We aren’t quite sure what the benefit of online ticket purchase is supposed to be since they are non-refundable. We did make it before the movie started and we settled into our seats which always remind me of those office chairs you buy at Costco for your home office. The theater is set up with bar type seating at the front of each level and table seating on the back. It is all movable and easily adapts to groups. 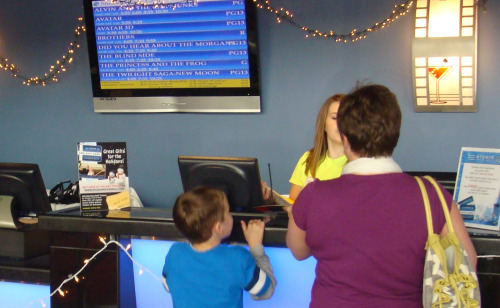 If you invade a portion that has both the front and back area of a section, your kids won’t bother anyone when running back and forth between the table and bar seating. Overall, the food was yummy and we ended up with the right amount for the eight of us to share. The Chipmunk Squeakquel movie was cute. It was silly and very chipmunk-y. The kids had a really good time and were very attentive. I was surprised at Rhett, my four year old because despite really needing to pee mid-movie he didn’t want to leave and miss any important Chipmunk plot twist. Studio Movie Grill was giving out Squeakquel movie posters on the day we went. 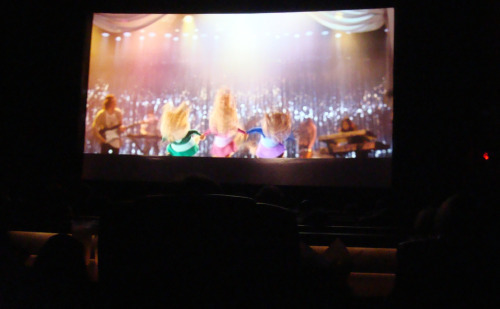 And that is how Shauna and I took six kids to the Chipmunk movie and lived to tell about it. 6 kids would normally scare me but y’all have great kids. Sounds like a fun day!! !